At the end of the fall 2018 semester, graduate students in "Copyright for Information Professionals" worked on creating a page with resources for learning more about intellectual property and copyright. This assignment, hosted through Wiki Education (WikiEdu), has now become a page in Wikiversity. 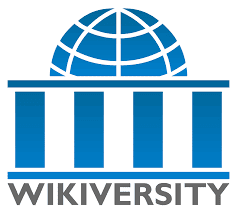 Wikiversity has over 26,000 learning resources across a wide spectrum of topics. Seeing the breadth of topics has made me realize that if you are learning a topic, you might want to check this site to see what resources it has. This page will connect you to resources to learn more about intellectual property and specifically copyright. It is not meant to be a comprehensive list. However, since it is a wiki page, anyone can add resources and topics to it, and I hope people will. Those could include books, webinars, classes, etc. on patents, trademarks, and trade secrets as well as copyrights. Finally, thanks to the students would worked on this page, as well as staff and volunteers at WikiEdu, Wikipedia, and Wikiversity. What a joy to have people who are passionate about creating shared resources under a Creative Commons license.